Android will be pretty in pink. At long last, the first Smart Display for Google Assistant has arrived. 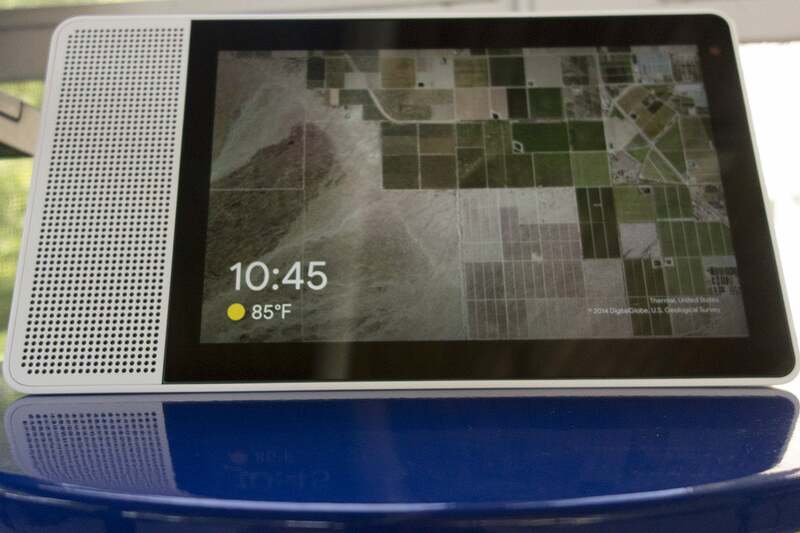 A joint effort between Google and Lenovo, it kicks off a new wave of screen-centric smart speakers that look good on a counter, sound good when playing music, and make the Echo Show less good by comparison. But the best part of the Lenovo Smart Display isn't the industrial design or 10-inch Full HD display. It's Google's interface. Where the Assistant and Alexa interfaces on Android phones and the Echo Show are rudimentary visual representations of our queries, the Smart Display doesn't just let you see what Google Assistant is thinking—it expands and enhances Assistant's abilities with an intuitive marriage of touch and voice. 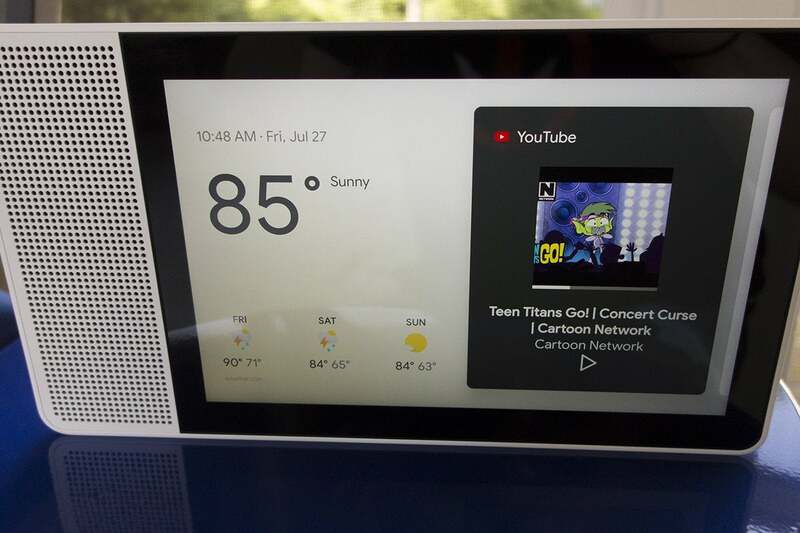 Google's smart display UI combines the elegance of Material Design with the proficiency of Android and the smarts of Android Things into an OS that feels like the future. And it very well may be. It's smart, light, and responsive in all the ways Android isn't, and it gives Google Assistant a real platform for development, one that might be coming to a phone near you. 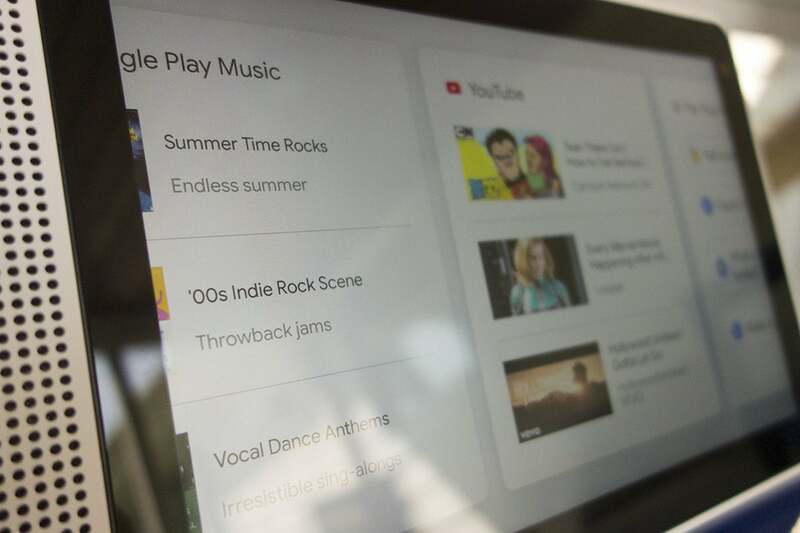 One of the tech world's worst-kept secrets is that there's a hidden project deep with Google's labs called Fuchsia that represents the future of Android and Chrome OS. According to numerous reports, the platform has been in development for a number of years, but recent evidence suggests that it's closer than ever to realization. The Smart Display uses cards to bridge the gap between touch and voice. In a report earlier this month, Bloomberg News had this to say about Fuchsia: "At the moment, Android, which was developed when phones were just beginning to use touch screens, is also not built to handle the type of voice-enabled apps that Google sees as the future of computing. So Fuchsia is being developed with voice interaction at its core. The design is also more flexible in that it adjusts to multiple screen sizes—an attempt to cater to the new products, such as televisions, cars and refrigerators, where Google is spreading its software." The key here is flexibility for vastly different screen sizes, something that Android doesn't really have. That's the beauty of Google's Smart Display OS. While it's nowhere near as powerful nor versatile as Android, it's easy to see how it could scale down to a phone with Google Assistant at its core. As it stands on Android, Google Assistant operates on a separate layer on top of the system, helping you navigate deep menus and apps but basically working as a shortcut to things like Chrome, Settings, and Spotify. On the Smart Display, Assistant is central and vital to the experience, taking you places you can't get to with your fingers. You can still tap and swipe the screen, but Assistant runs the show, popping up when you need it and displaying exactly the information you asked for. You might be able to get the same information by queuing Assistant on your phone, but on the Smart Display there's a tight level of integration with the whole system that gives Google's AI a starring role. Google Assistant has never been smarter than it is on the Smart Display. I used this example in my review, but I'll repeat it here: When you ask, "Hey Google, what's an allosaurus?" it will tell you that it's a dinosaur that lived 150 million years ago just like on your phone. 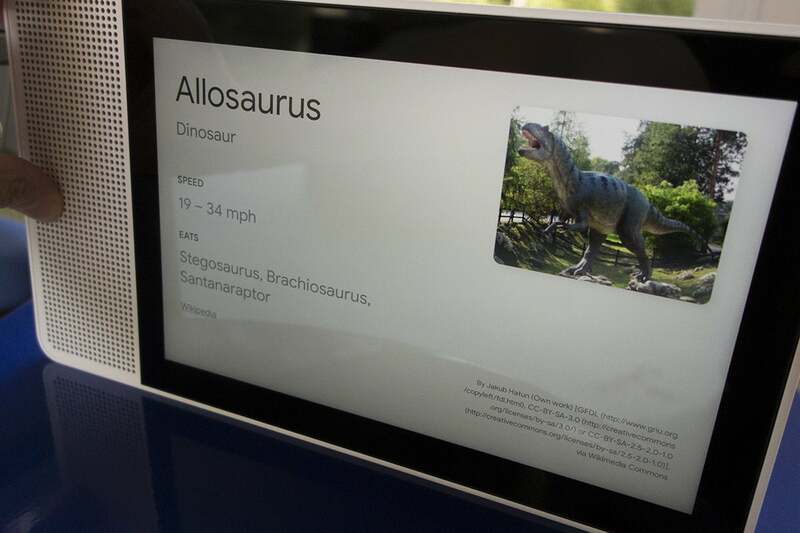 The Smart Assistant takes it further from that point, showing a picture, breaking out additional facts such as the dinosaur's estimated land speed, and offer a series of links for deeper exploration. It's all done on the fly, pulling info from Wikipedia, photos from Google Images, and deciding what's relevant and relative. It's one of the smartest interfaces I've ever seen, and it sure seems like a precursor to the kind of smart thinking we're going to get in Fuchsia. Because no one wants to talk to their device all the time, Google’s Smart Display interface is just as good with the microphone off. Swipe to the left, and you’ll get a series of cards spotlighting the things your can do: music, videos, recipes, etc. It’s very device-specific, but it’s also a foundation for a future unified system that scales across a number of devices and relies less heavily on traditional apps. We're already seeing a change in how apps are presented, with Android P's horizontal card system and gesture-based navigation. The Smart DIsplay's interface lets you switch among and interact with apps using a slider that's similar to Apple's home indicator. Android P is less about opening and closing apps as it is about promoting them to the system level, where we can interact with them without needing a full launch. The main screen on the Smart Display has shortcuts not apps. A simplified, streamlined system is also at work on the Smart Display. It resembles the one Ars Technica played with when they installed the Fuchsia source code on a Pixelbook: "The home screen is a giant vertically scrolling list. In the center you'll see a (placeholder) profile picture, the date, a city name, and a battery icon. Above...are 'Story' cards—basically Recent Apps—and below it is a scrolling list of suggestions, sort of like a Google Now placeholder. Leave the main screen and you'll see a Fuchsia 'home' button pop up on the bottom of the screen, which is just a single white circle." That's wildly different than Android as we know it, but it makes sense. If voice is going to take on a bigger role within the system, there needs to be less of a traditional home screen and a greater reliance on Google Assistant as the main navigator. That's how it works on the Smart Display, where you rarely need to go "back home." Once you're done with your query, just walk away, let the home screen (or lock screen in Android parlance) appear, and the whole system resets. It's faster, lighter, and more intuitive than any system that runs on a mobile phone. If and when it's ever released, Fuchsia probably won't look at all like the OS on the Smart Display. Still, what we see on Lenovo's new device could be the start of a whole new world for Google, not just for Assistant but for Android, Chrome, Wear OS, and pretty much everything else that runs on a screen. And I can't wait to get my hands... er, voice on it.